The race took place back on Aug. 6th, but I've been a little busy since then. If you ever needed a reason to check out North Dakota, this is it. 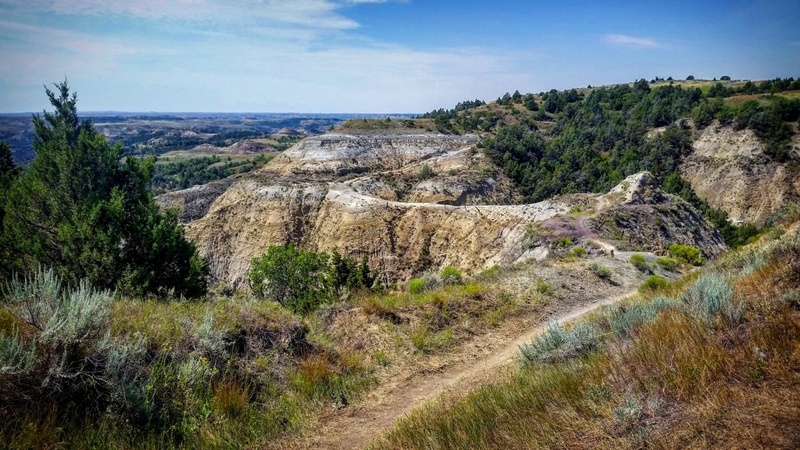 Pick your distance: 25, 50, 75 or go for it all - 100 miles of Badlands riding in a day. 18 hour time cutoff. It was a ride I'll never forget. Awesome that you were able to go to the MDH! I was born and raised in ND so rode and raced on the MDH every year (before the MDH 100 was formed...back then the main race course was a 20 mile loop centered around Medora). I've been wanting to go back for a few years now to do the 100...been over a decade since I rode there now. Thanks for the great race report and pics! That's really cool!! Do it!! A friend of mine rode this, too. That looks really great. Wish it were closer. I'm bumping this thread because sh#t man it's rad. I do kind of wish you put more time into the thread instead of just linking your blog but meh, whatever. You get after it way more than I ever will. Thanks RA. I hear you about the thread content. I just don't have the time. I think I still have over 10 blog entries to do as it is. Ever since MTBR changed the way pics are uploaded it added quite a bit more time on my end. If I could simply copy/paste, I'd do it. Anyway, tons more to come from that road trip and other outings since then. Ride on. Anyone ever ride the Maah Daah Hey in north dakota? Soon to be 140 miles long! !